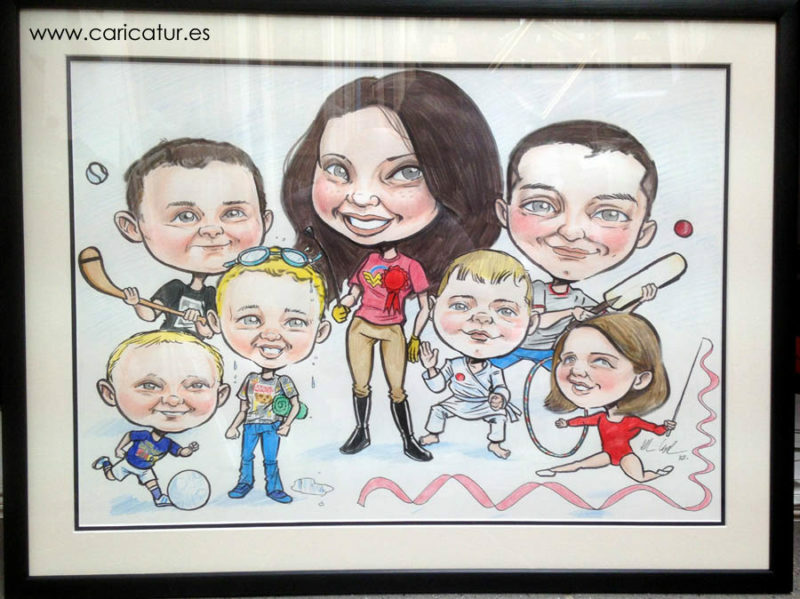 Family Caricature – Seven Grandchildren! 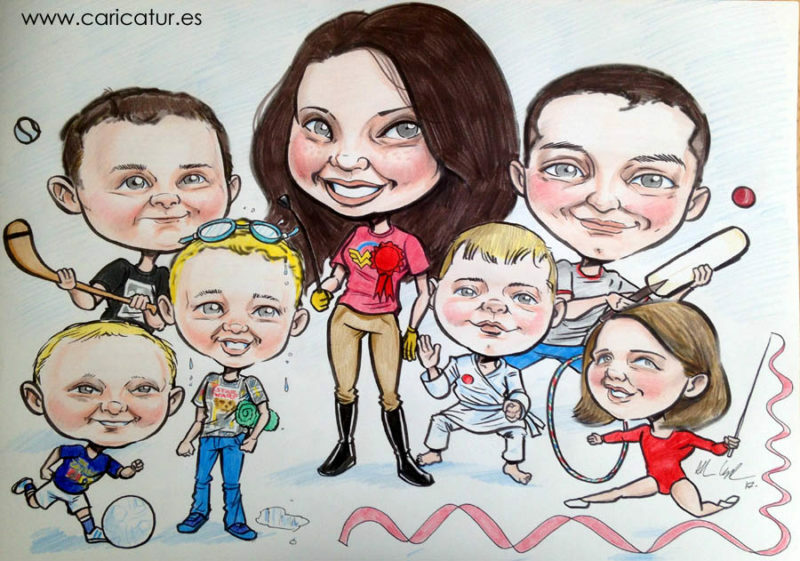 This family caricature was commissioned last week. It had a very tight turnaround time but I pulled out all the stops and got it done and delivered in jig time! Each child is portrayed playing their favourite sport, which went down very well with the client. There’s football, hurling, swimming, horse riding, Taekwondo, cricket, and gymnastics. I liked the details I got to include in it. Yes that’s Chewbacca you see there, and there’s a Wonder Woman t-shirt in there too! This is the finished piece framed. It was an A2 piece so bigger than my scanner can handle, hence the top image is partially in shadow as it’s a photo rather than a scan. All the frames for my caricatures are hand made with great care by Mark in the Framing Loft here in Galway. My caricatures make ideal birthday presents, especially if there’s a big brood of grandkids, so drop me a line if you’d like to know more about my family caricatures! You can leave a comment below or head over to my contact page. I deliver all over Ireland and the UK.